Learn how personality profiles are created, what they measure and their impact on organizational development. Applicants or employees are invited to complete a personality questionnaire (which can vary from 15 minutes to 2 hours in length) and their responses are analyzed to create a personal profile. Most personality questionnaires are designed to measure behaviours (our responses to different situations and individuals); Disc and MBTI (Myers Briggs Type Indicator) are examples of a behavioural personality analysis. 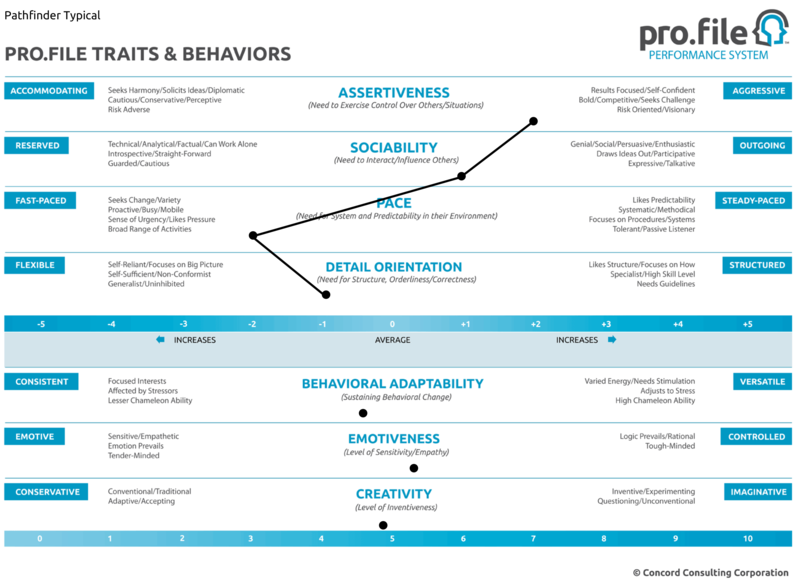 Pro.file People measures the seven most important work related traits and characteristics presenting them as a set of text and graphical results. The greatest insights come from the graphical results as we’re able to visually see how a person is wired, distinguish the differences between two individuals or between a person and a job – and all at a quick glance. The range of potential usefulness of these instruments is based on the depth of their scientific research, the number of characteristics measured, and the potential number of applications (see our Assessment Comparison Chart for further insight into range of application for the above mentioned and other instruments). Interested in learning more about the Pro.file People tool and how to successfully conduct an analysis of staff personality profiles? Please Contact Us today.